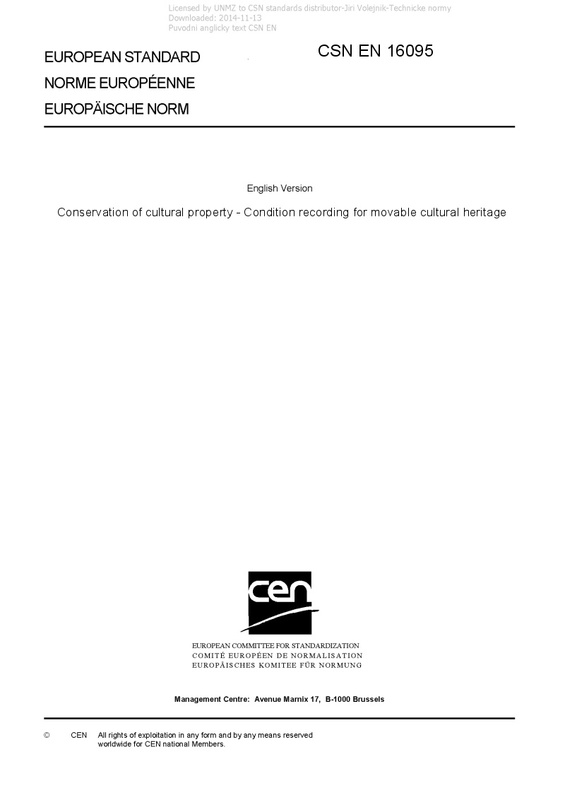 EN 16095 Conservation of cultural property - Condition recording for movable cultural heritage - This European Standard sets out the purpose and context of condition recording for movable cultural heritage and provides a framework for a condition report. It specifies the status of a condition report and its essential contents. This European Standard applies to all kinds of movable cultural heritage, whether individual objects or whole collections. It can also be used for immovable features in buildings or monuments.